A reliable source for Paper Cores information and a resource for accessing leading Paper Cores and suppliers. Paper cores are strong cardboard tubes or cylinders which are used in fabric, adhesive, electrical, paper product and converting industries as a sturdy base around which to wind materials for storage or distribution. Depending on the intended use of the tubes, paper cores can be made from heavy-duty thick cardboard for industries such as fabric and electrical, whereas for toilet paper or paper towels, the cores can be made from thinner, less durable cardboard or paper. 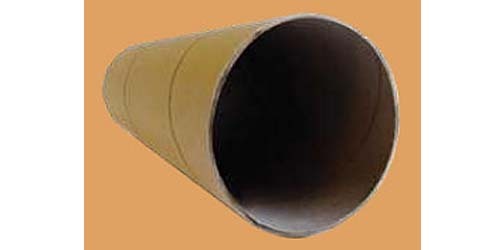 Paper Cores Paper cores are strong cardboard tubes or cylinders which are used in fabric, adhesive, electrical, paper product and converting industries as a sturdy base around which to wind materials for storage or distribution. As opposed to many other paper tubes such as shipping tubes or postal tubes, which are fabricated to be an outer protective layer to objects, paper cores provide support from their exterior. As such, a core has to be able to withstand the pressure of the material which is to be wound around it. Products such as tape, paper, plastic or metal foil are wound tightly around the core. Paper cores are essential in the process of space saving as they are able to be used for electrical wires and similar materials which would take up more space in other methods of storage. Furthermore, they are necessary for keeping materials in good condition, preventing knotting, crinkling and tearing. Paper Cores - Marshall Paper Tube Company, Inc.
For distribution purposes, paper cores are hollow tubes which are able to be fed onto a horizontal pole and then able to be rotated around releasing a desired amount of the rolled material at a time. This is a time-efficient method of retrieving products from a paper core, although it is possible to use paper cores without attaching them to a holder. Many consumer product manufacturers use paper cores to store and hold materials. A few consumer applications include fabric, cellophane wrap, aluminum foil, film, electrical and packing tape, disposable paper products, foam, ribbon, labels and stickers. Industrial manufacturers use cores in specialized converting, slitting and die-cutting applications, often rolling materials around longer lengths of cores and slitting the rolled product into distributable portions. Although plastic cores are available for many such applications, paper proves consistently to be the more cost-effective, practical and environmentally sustainable solution. Paper is by far easier for manufacturers to cut, purchase and recycle than most other materials and is extremely versatile in terms of range of uses and fabrications.